While the NFL isn’t a trade-happy league like the NBA or MLB, deals are becoming more common as each season progresses. Draft pick swaps will always dominate any listing of NFL trades, deals involving veteran players aren’t as rare as they once were. Seven trades involving veteran players have occurred since the draft ended — at this time last year, only one such deal had gone down. As Jason Fitzgerald of Over the Cap noted in his excellent salary cap book, Crunching Numbers, trades are likely to become ordinary as front offices are taken over by younger, more out-of-the-box thinkers. The players listed below as trade candidates aren’t ranked in any specific order — rather, we’ve attempted a league-wide look at players who could conceivably be on the move in the coming weeks or months. Contract status, overall ability, scheme fit, age, and coaching staff alterations all play a role in value, and each trait was factored into the likelihood of an individual player being dealt. As always, you can find PFR’s complete list of 2017 NFL Trades right here. Although the Bengals haven’t openly shopped A.J. McCarron, they haven’t completely sealed off the idea of dealing their backup quarterback. 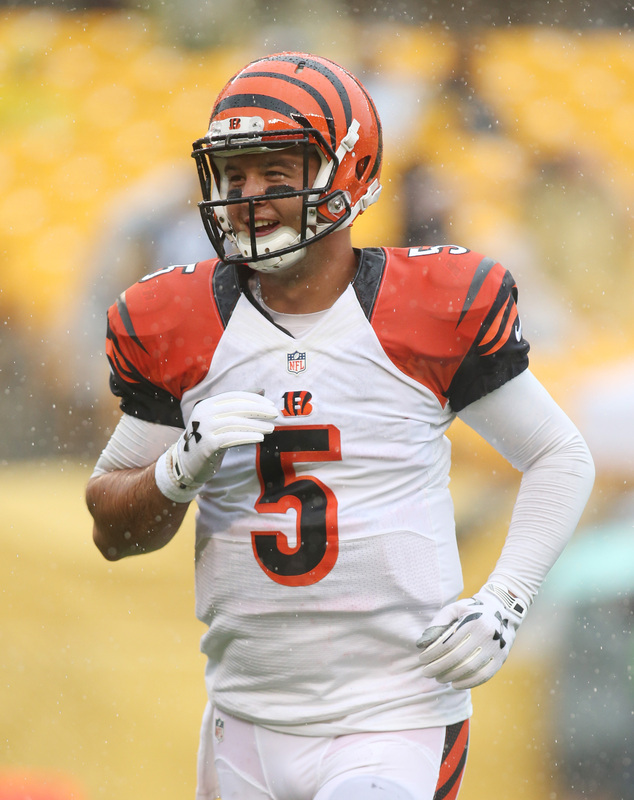 The asking price is extremely high, however, as Cincinnati reportedly wants a first-round draft choice for McCarron. An unidentified team offered a second-rounder for McCarron this offseason, and the Bengals declined, an indication of the value the club places on McCarron. Most likely, Cincinnati will need an injury to strike — and a club to get desperate — in order to meet its demands. In 2016, for example, the Vikings shipped a first-round pick to the Eagles in exchange for Sam Bradford after incumbent signal-caller Teddy Bridgewater went down. That situation presented the perfect opportunity for Philadelphia to reap compensation for Bradford, as Minnesota was a contending team with an immediate need under center. Bradford offered much more NFL experience than does McCarron, so a trade of the Bengals No. 2 quarterback remains unlikely. Brock Osweiler, meanwhile, has a chance to act as the Browns’ Week 1 starter, but he’s not a long-term option for a club that used a second-round pick on DeShone Kizer. Cleveland has already rejected at least one trade offer for Osweiler this offseason, but it simply doesn’t make sense for the team to retain him on their roster. Having already acquired a second-round choice in exchange for taking on Osweiler’s contract, the Browns should convert most of his base salary guarantee into a signing bonus (thus reducing the cap hit for any interested parties) and send him to a quarterback-needy club. New coaching staffs and pending free agency are key factors in labeling a player a trade candidate, and Carlos Hyde fits into both those buckets. Reports near the draft indicated the new 49ers regime wasn’t sold on Hyde, who has just one year left on his rookie contract, and the club has added several running backs this year, including free agent Tim Hightower and draft choice Joe Williams. Squarely in the midst of a rebuild, San Francisco has no reason to hold onto Hyde if it doesn’t plan to re-sign him, and early indications are Hyde hasn’t been offered an extension. Charles Sims could play a key role for the Buccaneers while Doug Martin is suspended for the first three games of the season, but his long-term role with Tampa Bay is unclear. General manager Jason Licht said earlier this year that Martin “looked as good as [he’s] ever seen him,” and I’d guess Martin will reclaim the Bucs’ starting job once he returns. 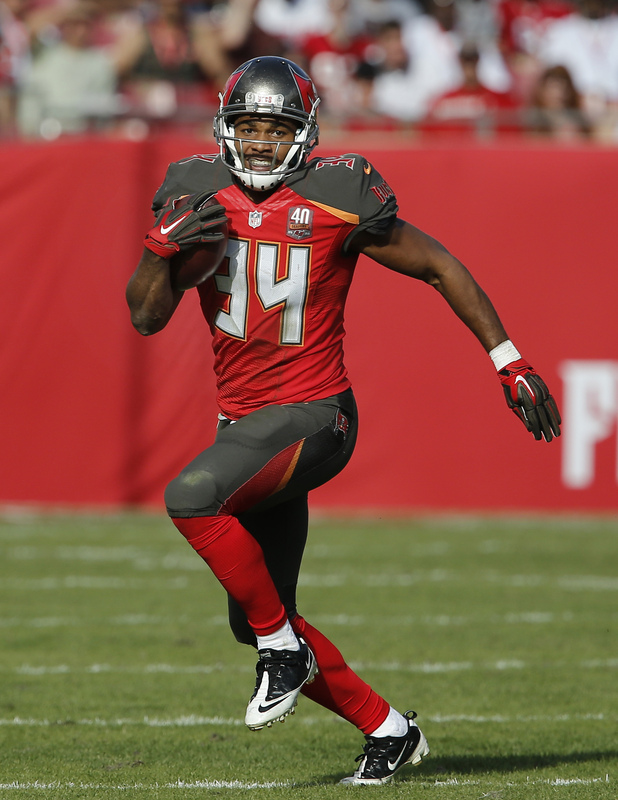 Until that point, Tampa Bay could probably get by with a committee of Jacquizz Rodgers, Peyton Barber, and Jeremy McNichols if it decides it can get a draft pick for Sims, who is scheduled for free agency in 2018. There are enough teams around the NFL looking for depth at running back that each of these backs should be able to create some sort of trade market. Speculative fits: Jeremy Hill, Giants; Hyde, Ravens; Matt Jones, Lions; Sims, Steelers; T.J. Yeldon, Chargers. Despite being selected 29th overall just two years ago, Phillip Dorsett appears to be in danger of not earning a Colts roster spot. He’s behind former undrafted free agent Chester Rogers and free agent signee Kamar Aiken on Indianapolis’ depth chart, and new general manager Chris Ballard doesn’t have any allegiance to the former Miami wideout. Eric Galko of the Sporting News (Twitter link) suggested the Jets — who recently lost Quincy Enunwa for the year — could be a fit for Dorsett, while the Bills, 49ers, Panthers, and Browns also make some deal of sense. The Bears reportedly told rival teams at this year’s scouting combine they’d be open to trading Zach Miller if they drafted a tight end, and draft a tight end they did. Chicago selected Ashland’s Adam Shaheen in the second round, and also signed former Dolphins tight end Dion Sims to a three-year, $18MM deal. An acquiring club would take on $2.5MM by trading for Miller, with $1MM of that total tied to per-game roster bonuses. Given that the Bears like fellow tight end Daniel Brown (who is just 25 years old as opposed to Miller’s 31), they could be motivated to make a deal. 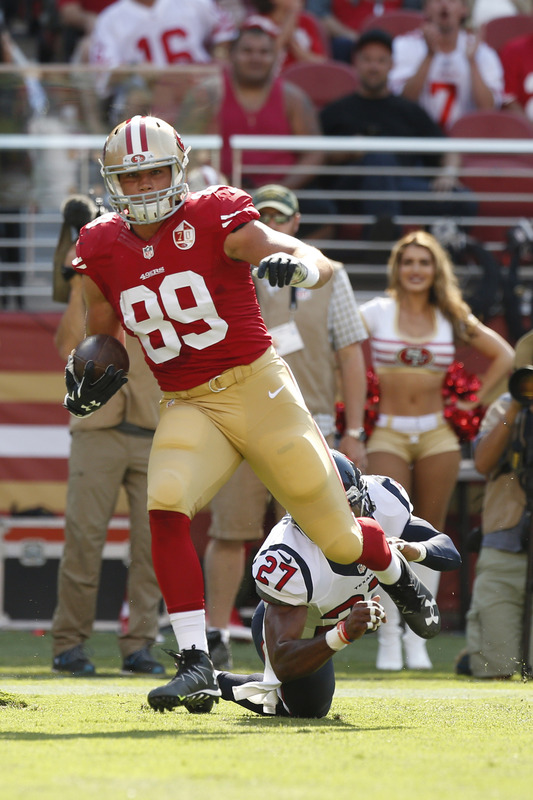 Vance McDonald, meanwhile, is potentially the most obvious trade candidate listed here, as 49ers general manager John Lynch admitted that he dangled McDonald in talks. Previous San Francisco GM Trent Baalke inked McDonald to a five-year, $35MM extension that begins in 2017, and other teams are unlikely to be interested in taking on that contract. And because the 49ers have so many tight ends, Garrett Celek might be available as well, as Jason La Canfora of CBSports.com hinted at Monday. Unlike McDonald, Richard Rodgers hasn’t been mentioned in any trade rumors, so his inclusion is completely speculative. But the Packers made investments at tight end this offseason, signing both Martellus Bennett and Lance Kendricks to multi-year deals, and with Rodgers entering a contract year, Green Bay could conceivably look to move him. Kendricks is already playing ahead of Rodgers, per Rob Demovsky of ESPN.com, and has never spent time on special teams. The Packers don’t use two tight end sets much (just 12% of plays, 31st in the league), so rostering three offense-only tight ends may not work. Offensive linemen are tough to acquire this late in the offseason given that continuity is such a large part of the front five, but trades do happen: Just last week, the Eagles shipped guard Allen Barbre to the Broncos, and he’s already taking starting snaps. Another Philadelphia lineman, center Jason Kelce, has been on the trade block for some time, but the Eagles may not want to make any more offensive line trades after moving Barbre. Kelce has four years remaining on his contract, but an acquiring club wouldn’t be taking on any guarantees. The Ravens, who desperately need help on the interior, should see if Kelce is still available. Any inkling the Panthers may have had to trade Star Lotulelei likely evaporated when fellow defensive tackle Vernon Butler suffered a knee sprain in Carolina’s first preseason contest. Even if Butler only misses a few games, the Panthers aren’t going to erode their defensive line depth by moving Lotulelei. That’s not to say dealing him wouldn’t be the right move for the long haul, though. Given that Carolina has already locked up Kawann Short to an extension, it will be hard-pressed to keep Lotulelei when his contract expires next spring. Call it rebuilding, call it tanking — the Jets are not trying to win in 2017. Therefore, it makes so sense for Gang Green to keep defenders like Steve McLendon or Sheldon Richardson on the roster, especially if there’s a market for either player. 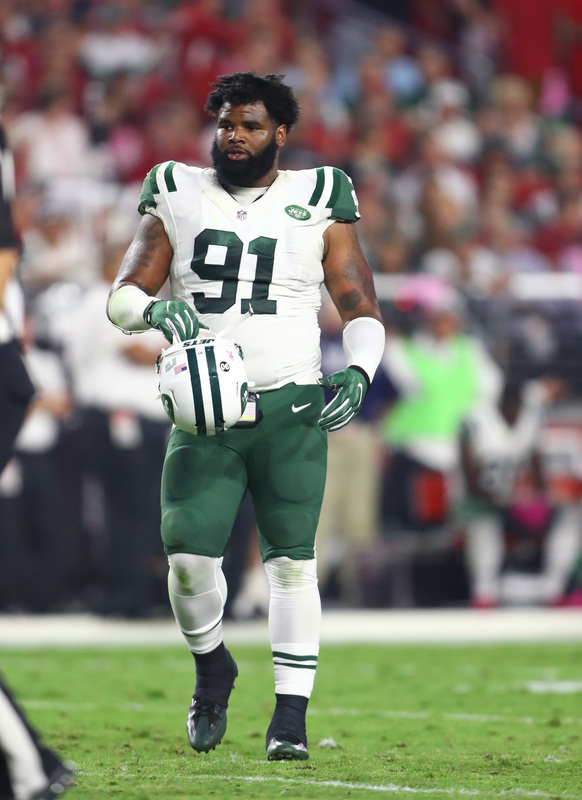 General manager Mike Maccagnan‘s goal of acquiring some sort of substantial draft pick compensation is a fool’s errand, as no club is going to sacrifice a high pick for a mercurial pass rusher with effort and contract questions. Either of McLendon or Richardson should be of interest to the Saints, who are still figuring out how to replace Nick Fairley. Other teams with needs along the defensive line include the Dolphins, Colts, Broncos, Raiders, Lions, and Packers, the latter of whom has recently lost Letroy Guion (release) and Montravius Adams (short-term injury). Hat tip to Justis Mosqueda of Setting the Edge (Twitter link) for tossing out both Jeremiah Attaochu and Aaron Lynch as possible trade targets for the Lions, who on Sunday lost one of their best edge rushers in Kerry Hyder. Attaochu left the Chargers’ preseason game with a hamstring yesterday, so he may no longer be an option, but Lynch is an intriguing fit for Detroit. Still only 24 years old, Lynch managed 34.5 quarterback hurries as recently as 2015, per the 2017 Football Outsiders Almanac, but has since dealt with injuries and a suspension. 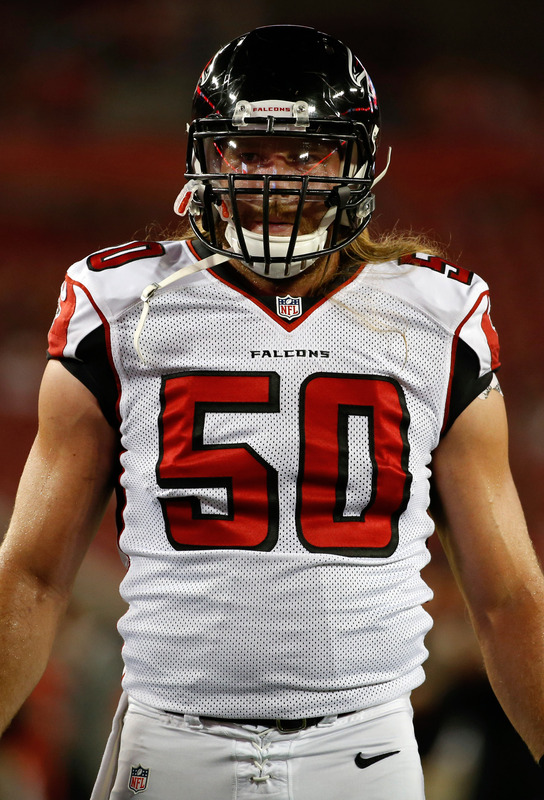 Listing all three of Adrian Clayborn, Brooks Reed, and Derrick Shelby is admittedly cheating, but the Falcons might have too many edge rushers. 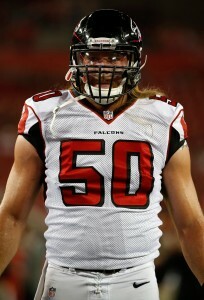 Depth is never a bad thing, to be sure, but Atlanta probably isn’t going to keep more than nine defensive linemen. Undrafted rookie J’Terius Jones has posted a solid showing during camp, according to Vaughn McClure of ESPN.com, and could make the final squad, meaning a veteran would likely get pushed out. Kony Ealy posted the best game of his career in Super Bowl 50 as a member of the Panthers, but the former second-round pick has quietly been a disappointment during his three-year career. He’s managed only 14 total sacks, and performed terribly against the run in 2016, something Patriots head coach Bill Belichick won’t abide. New England essentially acquired Ealy for free, as it only moved down eight spots in the draft to pick up the 25-year-old. Mike Reiss of ESPN.com reported last week that Ealy is in a “legitimate fight” to earn a Patriots roster spot. Stephone Anthony and Mychal Kendricks have been visibly on the trade block for some time, but Reggie Ragland could conceivably be dealt out of Buffalo before he ever plays an NFL down. The Bills aren’t quite going full Jets just yet, but they’re clearly planning for the future, as they traded Sammy Watkins and Ronald Darby last week in exchange for lesser players and (more importantly) 2018 draft picks. Ragland, who was chosen in the second round a year ago and missed his entire rookie season with injury, is playing behind both Preston Brown and Gerald Hodges, and may not have a place in new head coach Sean McDermott‘s scheme. Delvin Breaux admittedly wouldn’t have been on this list before a report indicating that the Saints are in fact shopping him, and while New Orleans has a bit more cornerback depth after selecting Marshon Lattimore in the first round, it doesn’t make much sense to trade Breaux when his value is at its lowest following an injury-plagued 2016 campaign. Vaccaro, on the other hand, is coming off his third excellent season in four years and has only one year left on his deal. If the Saints don’t reach an extension with him before the season, they could explore trading Vaccaro, especially after using second-round picks on Vonn Bell and Marcus Williams in 2016 and 2017, respectively. 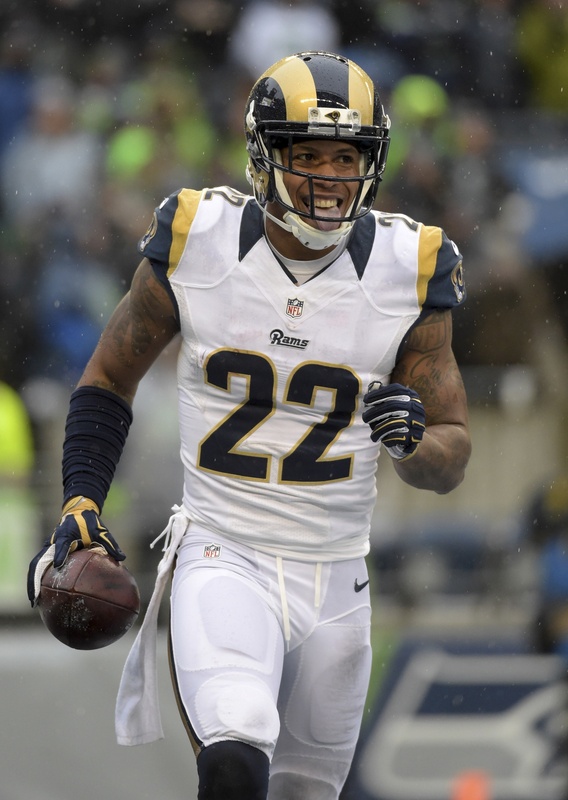 The Rams have been discussing a Trumaine Johnson trade ever since placing the franchise tag on him in March, but despite reported interest from the Browns, Saints, and Steelers, no deal has been made. Johnson is now the league’s highest-paid corner after being franchised for two consecutive seasons, and Los Angeles doesn’t appear likely to retain him beyond 2017. Still, the Rams might be reticent to trade Johnson after dealing fellow corner E.J. Gaines to the Bills last week. Kyle Fuller missed all of last season with a knee injury, and the Bears are counting on him for next season (or thereafter). Chicago signed free agents Prince Amukamara and Marcus Cooper this offseason, and subsequently declined Fuller’s 2018 fifth-year option. A rival club could be willing to take a chance on his draft pedigree, but his recent injury history could scare teams off. Lions lost two DL for the season so I am expecting a trade with the Jets. 6th or 7th rounder seems to be the amount they can get. Why does every know-it-all sportswriter insist that the Browns need to trade Osweiler? Did you all forget what happened last season in regards to their QB injuries? Kessler is one serious concussion away from a medical retirement, Kizer is a rookie just learning the pro game, and Hogan is….well….Hogan. As for Greco, he’s our “fill in anywhere on the OL” guy. Those are needed, especially with the youth on the OL. Haden? Meh, isn’t he gone after this season, anyways? Plus, I haven’t read much on his performance in camp….which might be a good thing. Usually we’ve already heard he’s injured or not performing well. So why not keep him for another season, especially since DB is one of our positions with little depth? Dolphins should look at Greco, he could start at LG which is a upgrade over anyone who is trying to play there currently and he would provide depth at center for Pouncey. That’s weird, my critical comment disappeared. Sorry about that, it was auto-marked as spam for some reason. It’s been reinstated. Thank you, Dallas……but does this mean, considering it was auto-marked as spam, that someone at Trade Rumors secretly doesn’t like me? Any critical comment will disappear just like all the crimes the Clintons committed did…someone in the know got their feelings hurt by it. Let’s see if this one gets deleted too lol!! I’m surprised my comment about my critical comment didn’t disappear, too. Trades for players rarely happen in NFL . GM think that players that are being shopped in the preseason may be cut anyways so wait to see who makes final rosters?